Born in 1911 into a close-knit family, Mary Rebecca Chambers (known to all as Polly) spent her formative years in the heart of the East End. 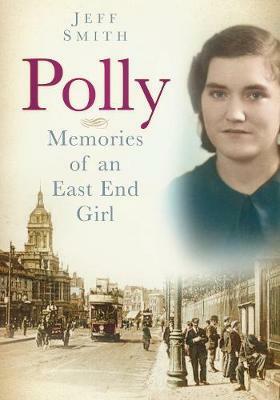 This vivid account of life is told with passion and humour and is brimming with stories of how Londoners, and Polly's family in particular, lived through two world wars and the Great Depression. Polly was a natural storyteller and this is a compilation of her heart-warming stories, arranged in chronological order, to tell the tale of life as she witnessed it, through adversity and danger, excitement and fun. The captivating anecdotes, poignant and entertaining, are suffused by the sights, sounds and smells of the East End in the first half of the twentieth century. This is a wonderful evocation of a bygone age and her affectionate memoirs will entrance anyone who reads them.